Cyclists from across the region will make the Eugene campus their home this weekend. Cycle Oregon is hosting its 2018 Weekender event at the University of Oregon. More than 1,600 cyclists from eight states are expected to arrive Friday, July 13. They will stay the weekend in residence halls or camp on campus. The Gerlinger Field Green, Science Green and a turf field near Jane Sanders Stadium are designated camping areas. Cyclists will explore the community as they journey along established bike routes each day. The Erb Memorial Union Green will serve as the community hub providing food, beverages and entertainment for event participants following their cycling adventures. The event ends Sunday, July 15. 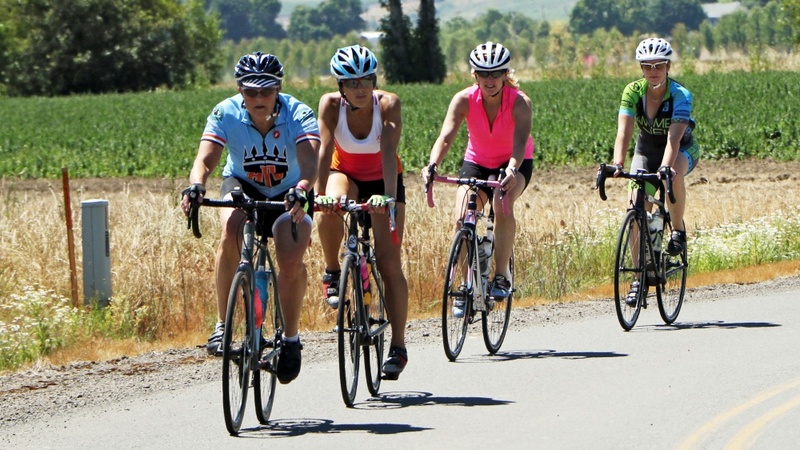 Cycle Oregon hosts cycling events throughout the year to showcase unique and beautiful parts of Oregon. This is the first year for the Weekender event at the university. Many UO departments have been working closely with Cycle Oregon to plan and prepare for the event. Cycle Oregon is a nonprofit organization dedicated to transforming individuals and communities through bicycling. Proceeds from the ride go to the Cycle Oregon Fund, which helps preserve and protect the special places of Oregon and supports community development projects.